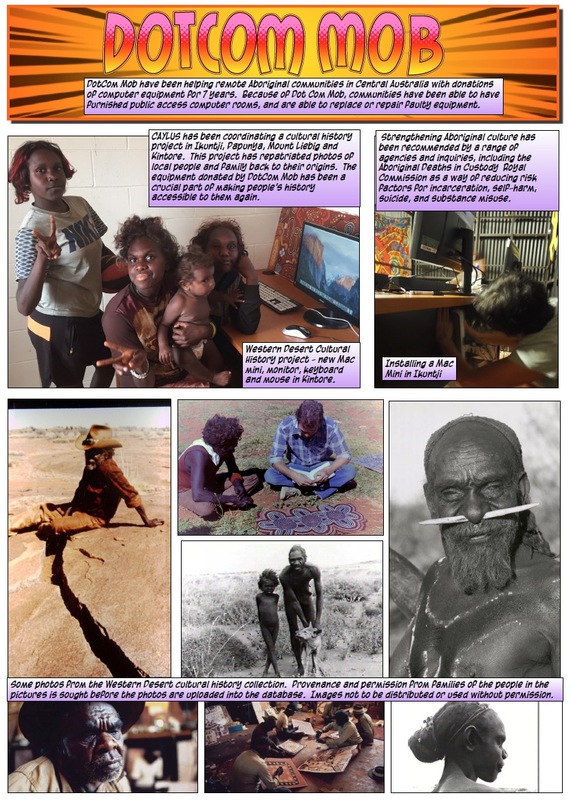 Dot Com Mob has helped CAYLUS to establish wiFi hotspots at Karnte and Hidden Valley town camps. 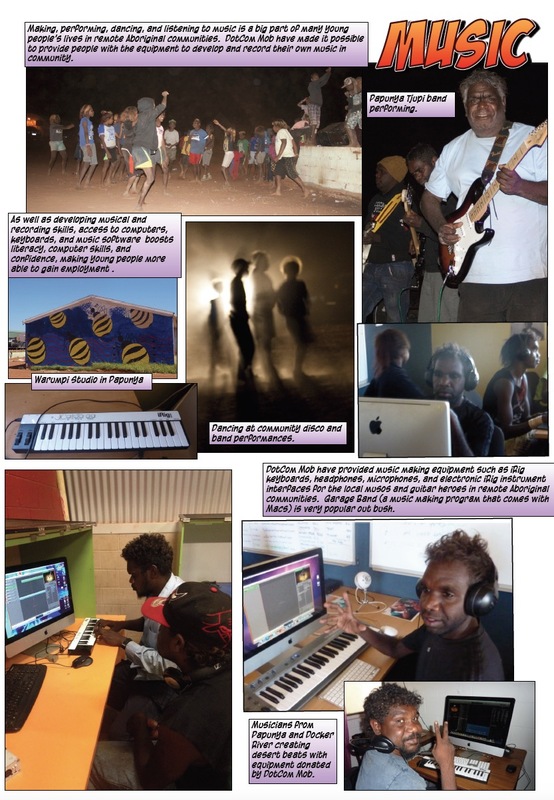 Dot Com Mob has provided music making equipment. 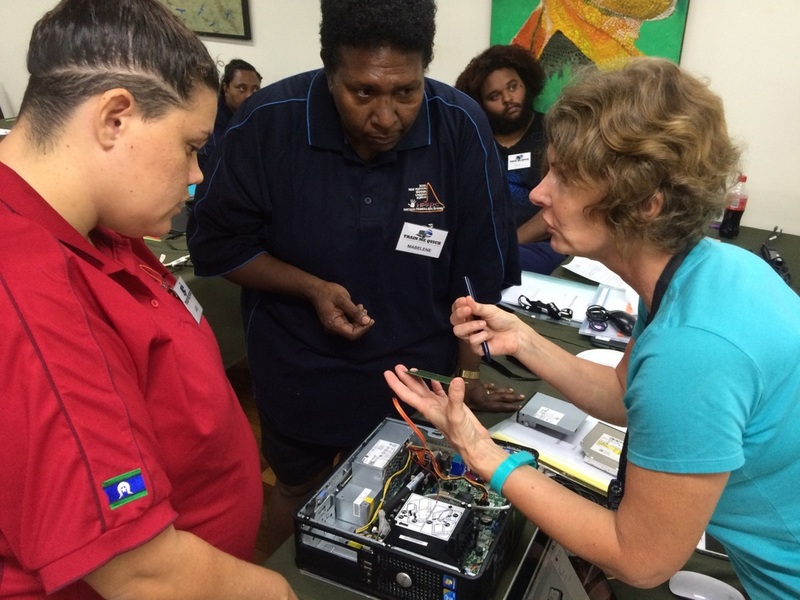 The five day course in the Northern Peninsula Area was all about learning to fix computer problems and qualified Bush Technicians. Jen Fraser, from Ideation Training is The Ideation Expert, helping people to change the world. She is on a mission to educate, entertain and inspire tomorrow's visionaries. 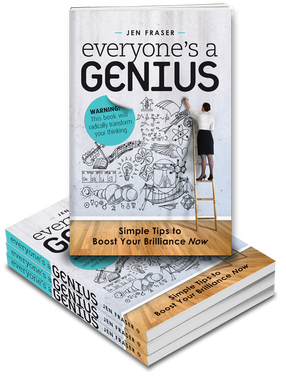 She is currently working on the release of her new book, ‘Everyone’s a Genius’, which arms everyday ordinary people with the tools they need to expand their imagination and bring to life brilliant, original ideas. Why did she write it? Fraser wants everybody to experience that intense feeling you get, when you see your big idea actually come to life. It is a rare and exhilarating experience - there really is no way to adequately describe it. It is in that precise moment that you realise your whole life has suddenly changed, forever. You think to yourself: if I can do this, what is left for me that I cannot do? An idea costs nothing, and yet the problem most of us have is that we dream about coming up with a BIG idea, but don’t know how or where to get started. This book is an invaluable source of inspiration to help you do just that. Fraser has stated that she finds it deeply satisfying and a great honour to provide the starting point to so many incredible new ideas!